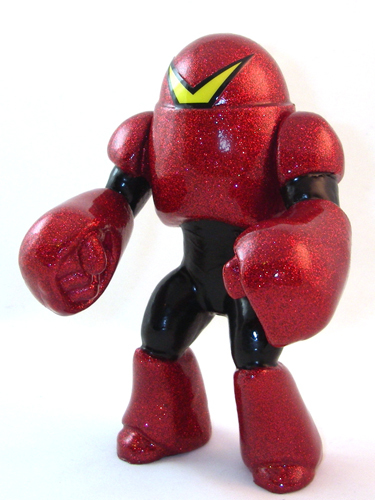 From the galaxy conquering armies of a dark and powerful techno wizard comes the seventh Galaxxor: Monster Hunter Robo, Galaxxor 007! 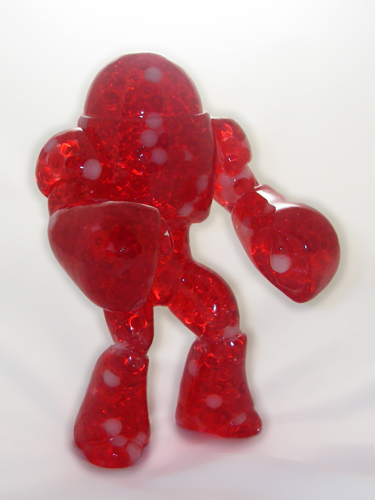 This classic 5.5" action figure-style resin art toy was sculpted by Ben Spencer, hand cast in resin by The Godbeast, painted in a brilliant red glitter coat and given vintage-style digital decal embellishments by Ben Spencer. Galaxxor 007 features 2 points of articulation and comes packed in a traditional bag and header style with exclusive header card art by Tim Seeley and colors by Ryan Browne. Exclusively available at Power-Con/ThunderCon: He-Man, She-Ra and ThunderCats Fan Convention, this figure is limited to an edition of 5 and will never be produced in this colorway ever again. 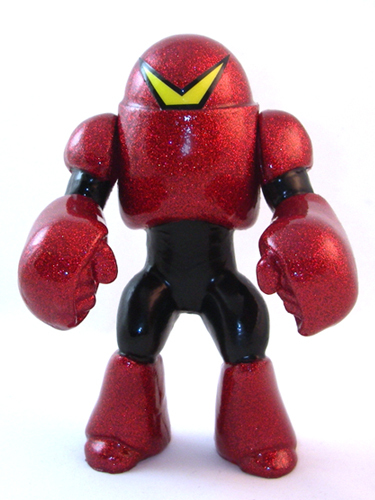 Galaxxor 007 will be available for $75 each, 09.24.11-09.25.11, at Tim Seeley's table at Power-Con/ThunderCon. If there are any remaining after the show, they will be available 09.27.11 at noon CST exclusively from The Galaxxor Online Store. 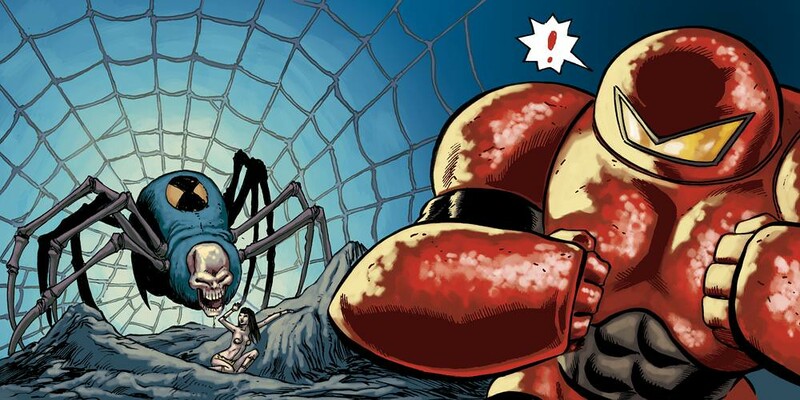 Check out this awesome piece of art which is about to become the header card for the next Galaxxor release, Galaxxor 007! 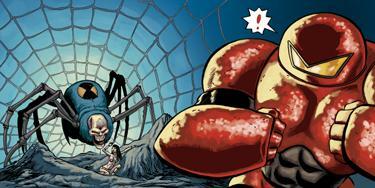 This was done by none other than Tim Seeley, with some amazing colorization by Ryan Browne. Stay tuned for more Galaxxor 007 sneaks (there are already quite a few on the Galaxxor Facebook page and the Twitter feed) in the very near future. What I can share is that the 007 will see an exclusive release at Power-Con/ThunderCon, the He-Man, She-Ra and ThunderCats fan convention, in Los Angeles 09.24-09.25. 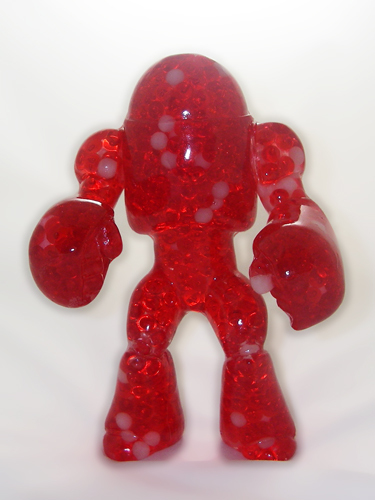 Attendees at the con will have the first opportunity to get their hands on one. More coming very, very soon! 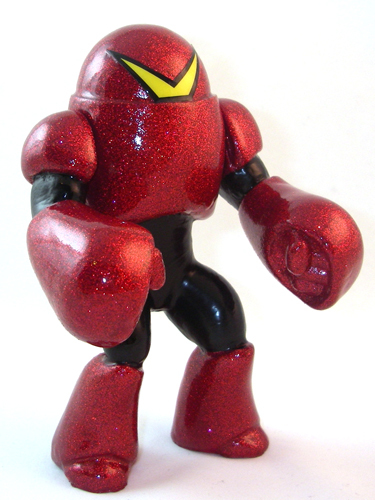 From the buzzing heart of the Xenotron Hive Mind comes the sixth Galaxxor: Monster Hunter Robo, Galaxxor 006! 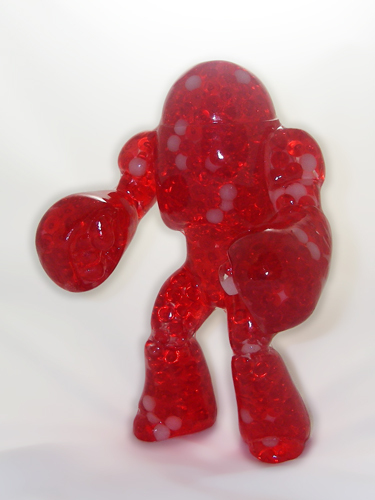 This classic 5.5" action figure-style resin art toy was sculpted by Ben Spencer, hand cast in translucent red and white glow-in-the-dark bb-filled crystal clear resin by The Godbeast and given a gloss coat by Ben Spencer. 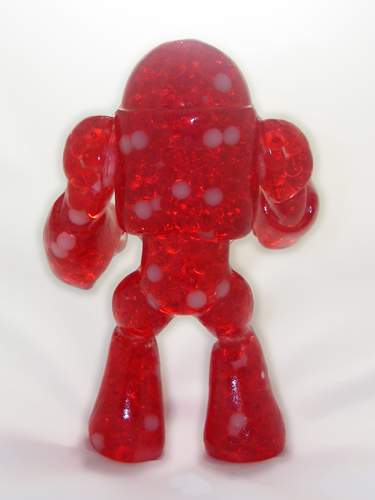 Galaxxor 006 features 2 points of articulation and comes packed in a traditional bag and header style with exclusive header card art by Steve Seeley. 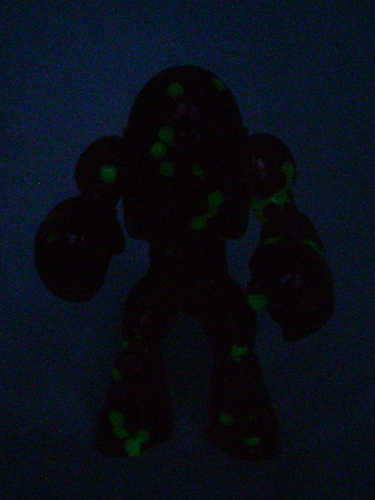 This figure is limited to an edition of 3 and will never be produced in this colorway ever again. 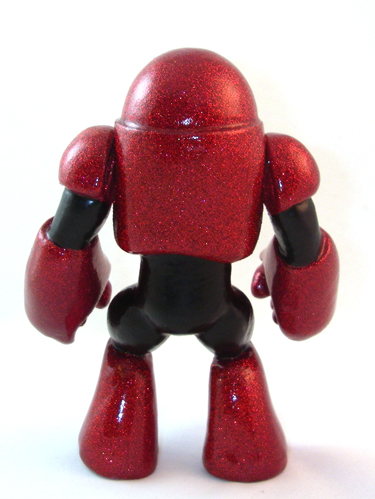 Galaxxor 006 will be available for $75 each on 09.06.11 at noon CST, exclusively from The Galaxxor Online Store.